Join us for a fabulous pre-festive event where Angela will be sharing a range of show-stopping recipes that you can prepare now and pop in the freezer to enjoy later. It promises to be a demonstration morning of fun packed inspiration with top tips for staying stress free as the busy Christmas frenzy approaches. Refreshments will be available upon arrival and we will be serving delicious tasters during the demonstration. We will have Prosecco on ice and wines available to purchase throughout the event. 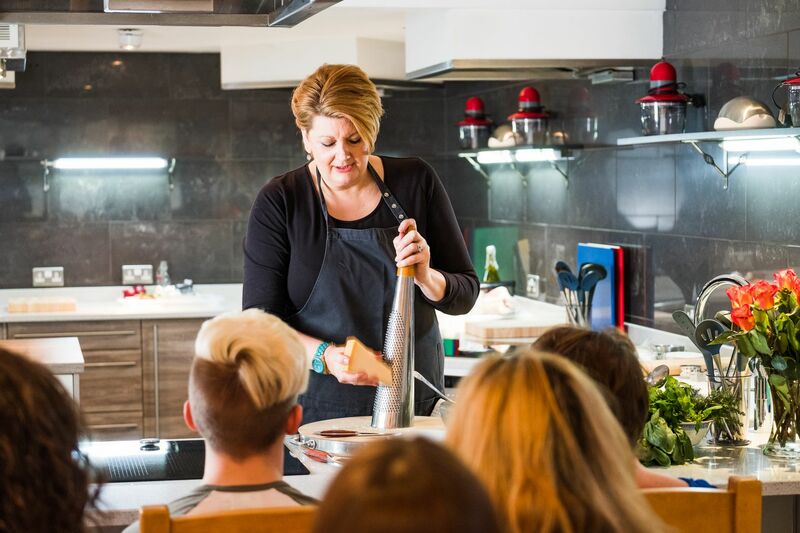 All of the dishes Angela demonstrates will be raffled and we will also have some fabulous goodies for you to purchase, including personalised copies of Angela’s Cookery Books. Lunch is available at Llanerch Vineyard after Saturday Morning Kitchen. To book a table from 12.30pm onwards, please call the Vineyard directly on 01443 222716.